Impress are firmly committed to reducing our environmental impact, increasing our positive social impact, being a good employer and driving sustainable, profitable growth. It makes sense to reduce waste and recycle more. We want to play our part in protecting our planet, but we also know it’s good business logic. Our environmental policies work because we use fewer resources which equals less waste. As a result, we are able to keep our prices competitive and consistently improve our efficiency. We are accredited with the environmental standard ISO 14001 and we go far beyond its requirements. Impress are proud to be one of only a handful of Carbon Balanced Publication Printers in the country. Protected more than 103 acres of high value conservation land, equivalent to 58 football pitches or taking 360 average petrol cars off the road each year! 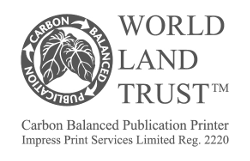 To learn more about our partner, World Land Trust, their Carbon Balance Programme and amazing conservation projects please view the videos. Our Carbon Balanced page has more information about how we can help you reduce your carbon footprint. We work relentlessly to review our processes and introduce ways to improve on what we print, how we print it and keep our carbon footprint to a minimum. We run the ‘Cycle to Work’ scheme and actively encourage all staff to get on their bike! We are proud of how we organise our waste and consumption of resources and ensure whatever cannot be recycled is either reused, recovered or disposed of responsibly. We also recycle our plastics, light tubes, ink cartridges, ink tins, …in fact, everything we can really! The paper industry has come on leaps and bounds over the last few decades and paper is now one of the most renewable and sustainable raw materials there is. Impress select papers to produce excellent, professional print results, and we aim to assist and inspire print buyers to make that ‘green’ choice. We recognise that working closely with colleagues and the community to engage on energy efficiency is key to reducing our carbon footprint. In addition to the above initiatives we are proud to volunteer our support to some great projects. The government have set targets for carbon reduction over the coming years and to meet these we all need to play our part. Impress are at the forefront, focused to help reduce carbon impact and provide sustainable communications. 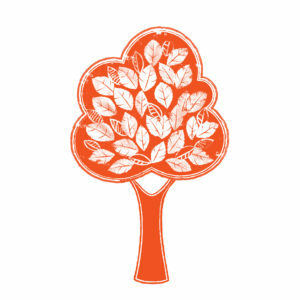 By asking us for Carbon Balanced Paper for your print we will be doing what we can together to help protect our planet for future generations to come… and the good thing is WE WON’T CHARGE A PENNY EXTRA.